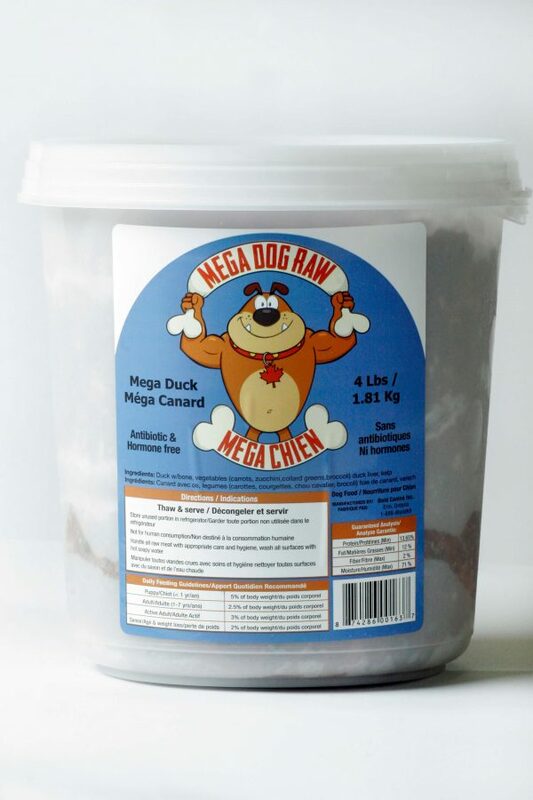 Mega Dog Raw duck is a convenient recyclable 1.8 kg tub ( 4 pounds ) of antibiotic-free , non medicated duck with organs, bone and veggies. Perfect for large dogs or for households with multiple dogs, Mega Dog duck is an economical, healthy choice for your dog. This product contains all the necessary nutrients your dog needs for a complete diet including meat, bones, organs and veggies. Duck has proven to be quite successful for dogs with hot spots and other skin irritations as it is classified as a cooling food.